Surveys are a great way to get fast answers and collect valuable feedback you need to make important decisions. Did you know there’s a secret sauce to improve survey response rates? Chances are you’re probably already doing a lot of things right. But there are so many tips and techniques that come into play when crafting an effective survey, that it’s good to always stay on top of your game. Timing is everything. Statistically, Friday surveys do not perform as well as polls that are sent at the top of the week. Your survey might get neglected if it’s timed poorly. Monday or Tuesday mornings work great when sending a survey; sending surveys early in the week gives recipients ample time to complete the survey throughout the week, and it also gives you time to send reminders on Thursday or Friday. Keep your questionnaires short and sweet to maximize engagement. If a long list of questions appears on the user’s screen, chances are they are going to abandon ship and see it more as a chore versus an opportunity to provide feedback. A sweet spot of 5-10 questions that are quick to breeze through helps you raise your chances of a completed survey. Always be attentive and warm towards your audience. If you’re a customer service representative who frequently sends follow up surveys to customers or leads, always be attentive and caring, thank them for their time, and address them by their name. After you’ve done the above, close your email with your call-to-action and survey link. If it’s appropriate, throw in an incentive. Incentives, such as tickets to a ball game or a gift card, are just one a few ways to excite people to participate in your survey. The chances of winning a cool prize or a free lunch makes it worth the effort for some participants. It’s nice to see feedback in action. For example, if you’re polling your employees on what their food interests are because you’d like to offer free snacks at your company, the team will notice that their suggestions were taken into consideration if you stock up on their selections. If you’d like to get a pulse in the research and development process of creating a survey in order to know what direction to take, having a survey go through a trial period with a targeted group of your audience lets you smooth out any glitches or shaky questions. Tracking survey links lets you analyze your results to see how effective your reach is. You’re able to see statistics such as open rates, abandon rates, click- through rate, unique click through rate, delivery rate, click to open ratio, and more. The proof is in the data. If you’re looking to get more feedback from your customers or leads, a pop up survey on your website is a great way to capture more survey responses. When designing your survey, ensure that it’s optimized for all devices – Mac, PC, Desktop, and mobile. The design of your survey should retain legibility and scale up or down. Survey reminders should always be a part of your communications strategy. Two to three reminders before the survey closes is usually a good amount. Let participants know your survey’s deadline as well. Before sending out your survey, identify your target audience. Get as granular as you can. Is it a group of women interested in a holistic lifestyle? Cater a survey that speaks directly to that audience in a tailored tone to maximize your marketing efforts and up your chances of getting answers. 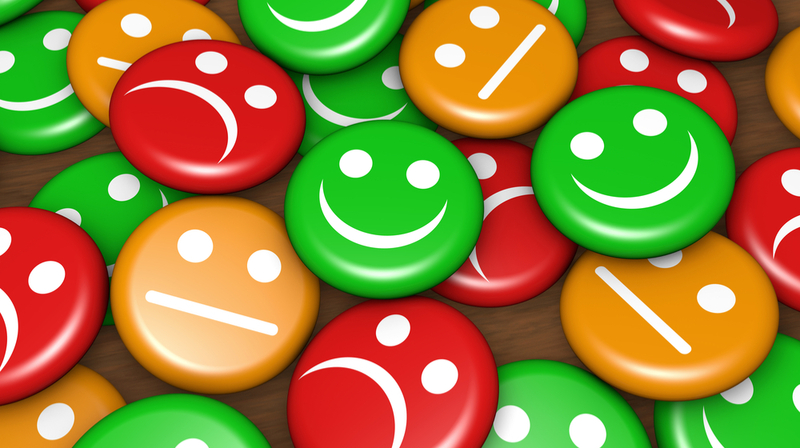 Explain why the survey matters and why you’re seeking to collect feedback. Are you looking to improve your products and services? Let your customers know how their feedback is going to help you better serve them. Make sure your questions are direct and clear. If participants have to decipher your questions, they’re going to get frustrated and abandon the survey. Doubling up questions, biased questions, or leading questions run the risk of confusing your reader. A banner graphic and thoughtfully designed survey campaign raises engagement. People are busy, and you only have a few seconds to get their attention. Make it count! Visuals are your initial hook. For example, if you’re a company wanting to garner responses for your annual employee survey, a visual campaign can include engaging email graphics, blog posts, posters, and campus signage to keep the survey on the team’s radar. Your imagery should also match the tone of the copy in your message. Always make an effort to build the relationship before you send the survey by providing exceptional customer service. Let your client know that you’ll be sending them a follow-up questionnaire and that you would greatly value their feedback.